When the harvest has been gathered it is time to separate out the wheat grain. 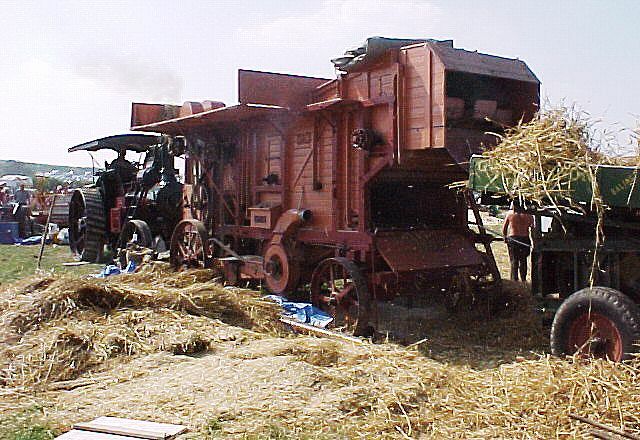 The steam powered threshing machine was the combine harvester of 100 years ago. 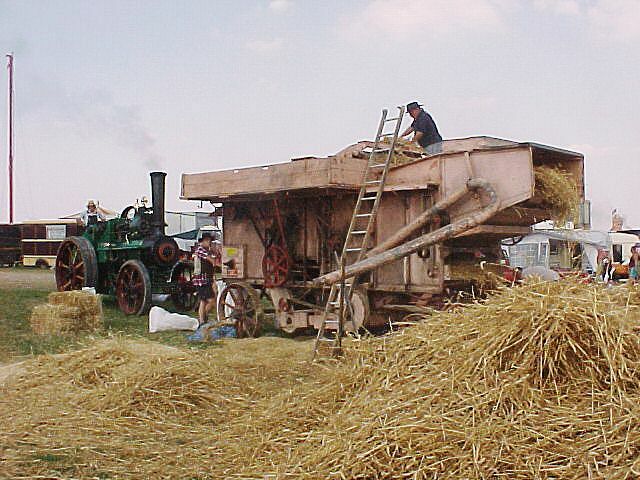 The cut stooks of corn were pitchforked into the top - and separated grain came out of the bottom with the straw being passed to a baler. 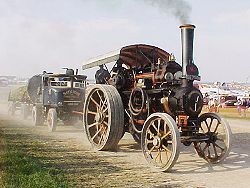 The whole thing took a team of workers - and a steam engine to power the plant via huge leather drive belt.